Stephen Prothero has 1 media appearance. On this episode of Indivisible: What does the coded word “elite” really stand for? Intellectual snob? Rich, out-of-touch, liberal? Fat-cat Wall Street banker? In an age of global populism, all of the above are fair game for politicians trying to connect with angry voters. MPR News host Kerri Miller and her guests dig into why wealth, education and power are at once the hallmarks of the American Dream and the subject of our collective ire. The Lee Institute presents Stephen Prothero, author of God Is Not One and Religious Literacy. The New York Times bestselling author gives readers an exciting and user-friendly introduction to American cultural history in his new book, The American Bible. Books available for sale by Left Bank Books. For more information, visit http://leeinstitute.net/. Stephen Prothero discusses God Is Not One. Stephen Prothero discusses God Is Not One: The Eight Rival Religions That Run the World--and Why Their Differences Matter. Stephen Prothero reads from God Is Not One: The Eight Rival Religions That Run the World—and Why Their Differences Matter. Stephen Prothero reads from The Great Religions - What We Need To Know About The World's Faiths and Why Their Differences Matter. 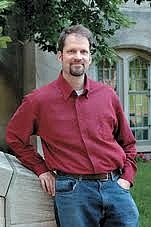 Stephen Prothero is professor of religion at Boson University. His work has been featured on the cover of Time magazine, The Oprah Winfrey Show, the Daily Show with Jon Stewart, National Public Radio, and other top national media outlets. He writes and reviews for the New York Times, The Wall Street Journal, Newsweek, The Boston Globe, The Washington Post, USA Today, Los Angeles Times, Salon, Slate, and other publications. Stephen Prothero is currently considered a "single author." If one or more works are by a distinct, homonymous authors, go ahead and split the author. Stephen Prothero is composed of 4 names. You can examine and separate out names.